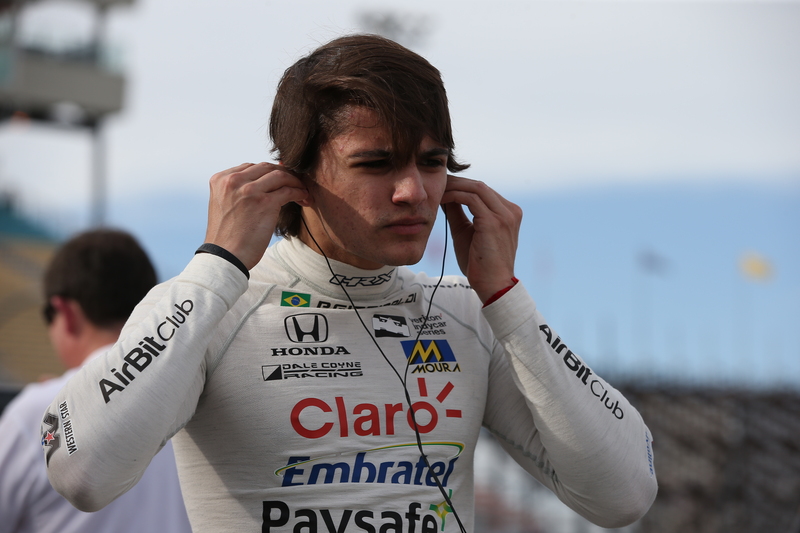 Brazilian rookie driver Pietro Fittipaldi was scheduled to compete in this month’s 102nd Running of the Indianapolis 500 for Dale Coyne Racing, driving the No. 19 Paysafe Honda and continuing a family legacy left by his grandfather, Emerson Fittipaldi. After a serious accident during qualifications for the Six Hours of Spa, it appears those plans are in danger. Fittipaldi survived a massive shunt on Friday morning that left his LMP1 machine with heavy front end damage. The young driver lost control of the car while traveling up the famous Eau Rouge curve at the legendary Circuit de Spa-Francorchamps race course. Per the FIA, the driver was conscious when the track safety crew arrived and remained coherent throughout the extraction period. After nearly half of an hour, Fittipaldi was removed from his vehicle and transported away from the facility. The Brazilian was scheduled to compete in next weekend’s INDYCAR Grand Prix in Indianapolis and compete the rest of the month for the Indianapolis 500. He is also on the schedule to appear at INDYCAR races at Texas, Mid-Ohio, Portland and Sonoma in the No. 19 Honda that was being shared with fellow rookie Zachary Claman de Melo. The driver for the remaining races on Fittipaldi’s deal has not been announced. Fittipaldi was competing in his first FIA World Endurance Championship event this weekend after replacing Renger van der Zande for DragonSpeed. He had taken laps in an LMP1 machine before this weekend while testing a Porsche 919 Hybrid in Bahrain last November. Open-Wheels will continue to update the story as news trickles in. Our thoughts are with Pietro and Dale Coyne Racing.